﻿ Will iPhone 2019 Support 5G? What Do We Know Now? Will iPhone 2019 Support 5G? When will Apple Offer 5G support? Since 5G network stole the show on Mobile World Congress 2018, top tech companies like Samsung, Qualcomm, Telstra, T-Mobile and AT&T all have showcased their 5G capabilities and plans. At a speed of more than 10 Gigabits per second, 5G has higher data capacity and lower latency than current 4G network, which means that it takes just seconds to download a movie and offes better new experiences in augmented and virtual reality. Without doubt, the new network standard is making its way to smartphones, including Apple's iPhone lineup. Therefore, Apple fans can't help asking, will iPhone 2019 support 5G? Will there be a 5G iPhone in 2019? The answer is probably yes. Apple never discloses its smartphone plans until it's good and ready, while it doesn't stop the iPhone rumor mill from setting expectations for future devices out of Cupertino. And all signs point to Apple sitting out the 5G rollout in 2019 right now. Apple uses Intel XMM 7560 modem in 2018 iPhone XS/XS Max instead of Qualcomm' LTE chips. While tests on 500,000 T-Mobile users and 570,000 AT&T users show that Qualcomm is much faster than Intel's modems, what's more important to note is, Qualcomm has gained 5G capabilities with its X50 chipset which is said to revolutionize 5G mobile broadband. On the side of Intel, it seems that users can't get an iPhone 5G network until 2020 if Apple sticks with Intel. This may be an drawback of iPhone 9 for users who want faster internet, but till now, there is no 5G phone on the market. While 2018 iPhone XS/XS Max/XR doesn't support 5G network, we can expect the 5G support in 2019. Below are the possibilities. If Apple selects Intel, 2020 iPhones will support 5G. According to a statement on The Verge, "Intel's 5G customer engagements and roadmap have not changed for 2018 through 2020", it's very likely that Apple may take Intel as the chip supplier. If so, 2020's iPhone lineup would be the first 5G phone from Apple using Intel's upcoming XMM 8060 5G modem (which allegedly will ship in mid-2019). 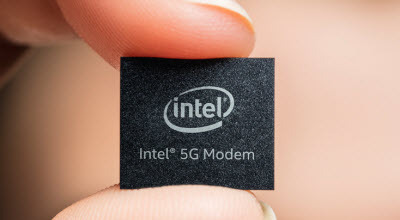 However, it's also reported that Apple has decided not to use Intel 5G modems and Intel has stopped the Sunny Peak 5G chip project. But the company is said to be focusing on the project for 2022 iPhones. Samsung may come with 2019 Apple 5G mobile phone. If the decision of not using Intel for 5G modem is true, Samsung will be a reliable supplier. 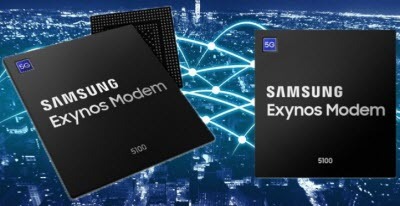 Samsung has announced 5G support with Exynos Modem 5100 on MWC 2018 and confirmed that it will roll out a 5G phone next year. Given the current legal situation between Apple and Qualcomm, it's unlikely that Apple would choose a Qualcomm 5G chip in the near future. Also considering that Apple's latest iPhones adopt Samsung Super Retina Display, the company may be the manufacturer for 2019 iPhone 5G network. Qualcomm can offer 5G support for iPhone in 2019. 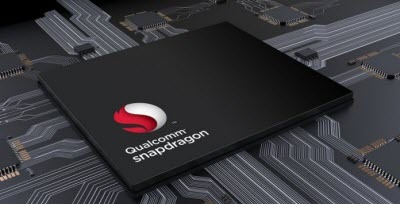 Qualcomm announced Snapdragon X50 5G Modem back in 2016, which was designed for the next generation of premium-tier mobile cellular devices. Some top mobile manufacturers like Xiaomi, Samsung, Sony, HTC and LG has already confirmed the partnership with Qualcomm for 5G mobiles in 2019. How about Apple? We won't see iPhone 2019 with 5G support from Qualcomm considering the dispute between the two companies. But as Apple has adopted Qualcomm chips for years, it's also an option when Apple steps towards 5G iPhone in 2019. MediaTek 5G modem is not likely to appear in near future. 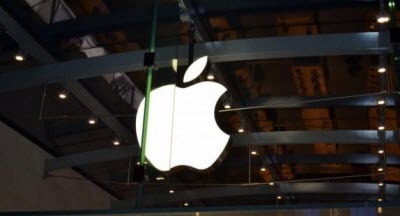 There are reports saying that Apple may select MediaTek for the 5G modem chips for 2019 iPhones, rather than Intel or Qualcomm. 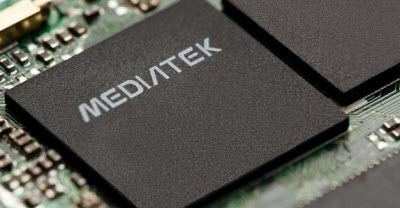 MediaTek has unveiled its 5G modem chipset, the Helio M70, for usage in 2019 mobiles. However, the company is aimed at the mid- and low-end markets. So considering that iPhone is among the top tiers, MediaTek may be used in a 5G iPad or Apple watch before it makes its way to iPhone. Apple may make own 5G chip for 2020 iPhone. Apple is reported to be working on its own 5G modem chips together with Intel. According to a job post from Apple, the company is looking for an engineer to take charge of a 5G modem team. This triggers speculations that Apple is trying not to use chips from other companies. If Apple is developing its own chips, it's more likely to expect an 5G iPhone in 2020. AT&T is launching 5G network in 3 cities later this year, and T-Mobile is launching in 30 cities. iPhone is inevitably gain 5G support sooner or later. What we know for sure is, iPhone XS won't support 5G. The latest possibility is that Apple may offer iPhone 5G support in 2019. Till now, iPhone XS, iPhone XS Max, iPhone XR coming with the industry's first 7mn SoC chip and various other new features and improvements, are also worth the upgrade. Still want to upgrade to an iPhone XS 2018? You will need to backup old iPad data first! MacX MediaTrans offers the fastest solution to transfer, backup and manage all your photos, music, video, iTunes purchases, ringtones, books and other media files. iPhone XS VS iPhone 8: Should You Upgrade? Should You Upgrade iPhone to iOS 12?